Are you ready to vacation like you mean it? Universal’s most popular discount was just released today and is only available for a limited time. Starting today, you can enjoy a 3rd day of adventure and fun completely FREE with the purchase of a 2-day ticket. It’s a great way to do absolutely everything at Universal Orlando. This offer is for U.S. and Canadian residents. 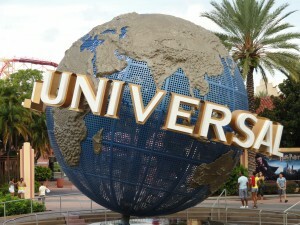 Three days’ access to both Universal Orlando theme parks, with the purchase of a 2-Day, Park-to-Park or Base ticket. Access to live entertainment at Universal CityWalk. Or upgrade with the purchase of a combo ticket to experience the Blue Man Group show. Bundle the Unlimited Express Pass to skip the lines at your favorite attractions, only available with the purchase of a 2-Day, Park-to-Park ticket. Turn this ticket offer into a complete vacation with hotel accommodations by combining it with Universal Orlando vacation packages. Offer valid for purchase from January 13, 2016 through April 12, 2016 and is valid for 14 days from the first use – must be used in full by May 31, 2016. As you can tell this is a very limited offer and will be gone after April 12! Get your FREE quote today. As an added bonus for every vacation booked in January you will be entered to win an authentic Wizarding World of Harry Potter Wand.